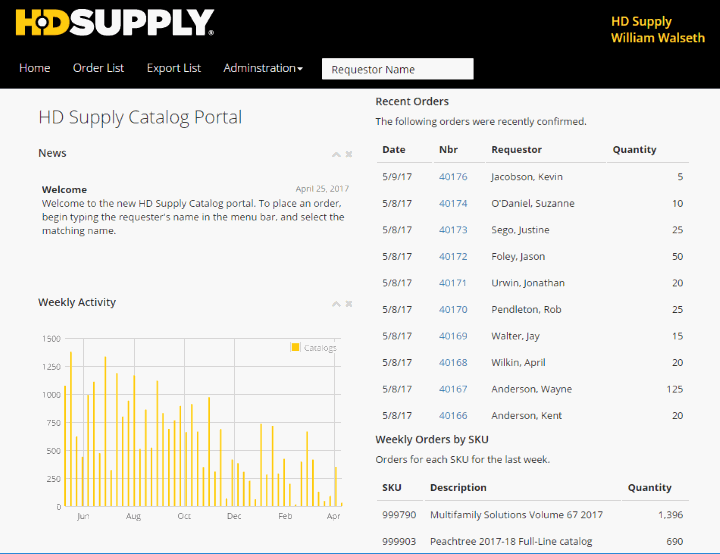 We've provided support for HD Supply's catalog fulfillment business since 2005 via one of their carriers. In April 2017, a sudden change of carriers required a rapid change of business direction. Our detailed understanding of their business process, and our experience working with external logistics partners provided HD Supply with a quick solution. By building their own application asset, HD Supply got off the carrier roller-coaster, and can manage their fulfillment orders independently of their carriers. Our team developed the application using the WCG Framework during 2 weeks of development. The new application provided improved functionality, and real-time monitoring of their operations and status of partner updates.